Main Name: Turmeric Biological Name: Curcuma longa Names in other languages..
Main Name: Thyme Biological Name: Thymus vulgaris Names in other languages:..
Main Name: Tamarind Biological Name: Tamarindus indica Names in other langu..
Main Name: Sage Biological Name: Salvia officinalis Names in other language..
Main Name: Rosemary Biological Name: Rosmarinus officinalis Names in other ..
Main Name: Saffron Biological Name: Crocus sativus Names in other languages..
Main Name: Clove Biological Name: Syzygium aromaticum Names in other langua..
Main Name: Cinnamon Biological Name: Cinnamonum verum Names in other langua..
Main Name: Chili Powder Biological Name: Capsicum annum Names in other lang..
Main Name: Cayenne Pepper Biological Name: Capsicum annuum Names in other l..
How To Identify Squash—Different Squash Types You Didn’t Know About! Nature has showered us with a variety of fruits and vegetables which we mer..
Main Name: Sapodilla Biological Name: Manilkara zapota Names in Other Langu..
Did You Know These 14 Health Benefits of Pomegranate? Main Name: Pomegranate Biological Name: Punica granatum Names in other lang..
Main Name: Jackfruit Biological Name: Artocarpus heterorphyllus Names in ot..
Main Name: Guavas Biological Name: Psidium guajava Names in other languages..
Main Name: Barley Biological Name: Hordeum vulgare Names in other languages..
Celebrity chef from Monaco, Alain Ducasse claims, “Everything that pu..
Main Name: Zucchini Biological Name: Cucurbita pepo Names in other language..
Main Name: Turnip Greens Biological Name: Brassica rapa None of us are igno..
Main Name: Sweet Potato Biological Name: Ipomoea batatas Names in other lan..
Main Name: Lotus Root Biological Name: Nelumbo nucifera Names in other lang..
Main Name: Poppy Seeds Biological Name: Papaver somniferum Names in other l..
Main Name: Pearl Millet Biological Name: Pennisetum glaucum Names in Other ..
Main Name: Nutmeg Biological Name: Myristica fragrans Names in other langua..
Main Name: Mustard Seed Biological Name: Brassica Names in other Languages:..
Main Name: Cumin Biological Name: Cuminum cyminum Names in other languages:..
Bilberry is a delicious fruit, indigenous to North America and known to grow abundantly in the high mountainous regions of Europe. This delectable fruit has been part of the human dietary system for centuries. Bilberries are popularly known as huckleberries in the United States and have much in common with the well known European variety of berries, such as blueberry and cranberry. This fruit grows on small deciduous bushes, that have ovate leaves, and produces bulbous rosy bell-shaped blooms, during the spring season. Bilberries have many excellent medicinal properties that are useful in treating a number of medical conditions. 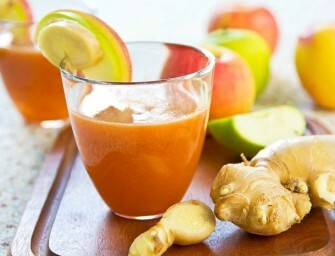 Most importantly, they have unparalleled positive effects on the human eyes as well as cardiovascular system. To know more about their nutritional facts and benefits, go through the sections below. Bilberry has been very popular among European, as well as, Native American population, since historic times. However, written concrete proof of its use as a herbal medicine to induce menstruation was found in the Hildegard of Bingen’s recommendation in the 12th century. By 16th century, records show that the bilberries were being prescribed by various German herbalists for an array of ailments, such as bladder stones, liver disorders, and lung diseases. By the dawn of 18th century, many more medicinal uses of this fruit were discovered and about 200 years down the line, bilberries came to be used in teas and tonics, apart from regular desserts. During World War II, the benefecial effects of this fruit on human eyes was discovered by the British Royal Air Force pilots. They noticed that whenever they ate bilberries before a night flying mission, their vision improved tremendously. Bilberries have been found to be a natural source of pterostilbene— a compound that is believed to be significant in the prevention of colon cancer. Bilberries are quite rich in anthocyanins, because of which they are believed to provide strength to capillaries, which, in turn, help in the normal circulation of blood throughout body and keep the brain and eyes fresh. 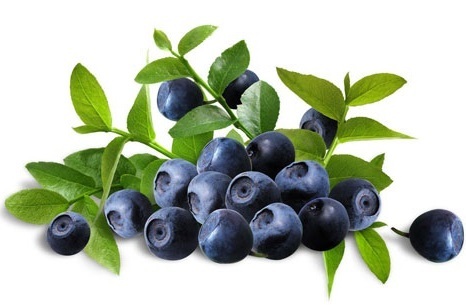 Anthocyanocides, present in bilberries, are useful in preventing heart diseases to a large extent. As per some researches, bilberries have been proven useful in decreasing the possibilities of cataracts and macular degeneration. The flavonoids and anthocyanins present in bilberries have strong anti-inflammatory properties that have been found helpful in controlling symptoms related to rheumatoid arthritis. A bilberry is highly effective in various digestion-related issues. 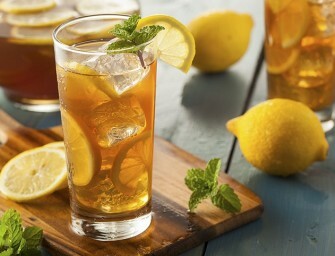 The bilberry tea provides great relief from nausea and stomach disorders, as it is known to sooth the digestive track. The presence of generous amounts of glucoquinine in bilberry helps lower blood sugar levels. However, before using the bilberry supplement or any other processed form of the fruit, it is better to seek advice from a legal medical practitioner. Bilberries have major antioxidants present in them, which help in improving the overall immune system of the body, along with the gift of longevity. Besides, this fruit is exceptionally beneficial for the skin as it prevents acne breakouts due to the high concentration of a dietary fiber, known as pectin. 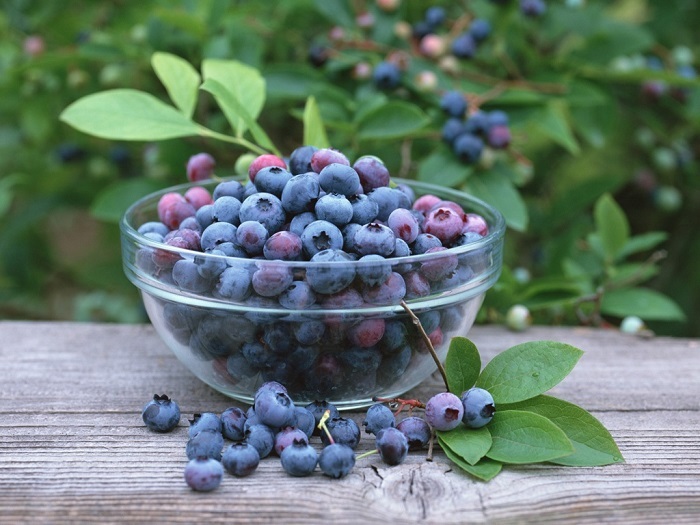 While shopping for bilberries, make sure that they are not overly ripe and that they have a tight, smooth skin. Avoid buying bumpy or moldy pieces, as these will not taste well and will decay on a faster rate compared to fresh, healthy bilberries. Bilberries can be stored for long durations by freezing. To do so, all you need to do is wash them with delicate hands in cold water and pat them dry. Place them in a cookie tray and put them into the freezer. Once they are frozen, move them into an airtight container without any delay and store them in the freezer. If you do not want to store them for a long interval, you can directly place them in a jar and cover them with a plastic wrap. However, avoid washing them as added moisture will cause them to rot faster. Biological Name: Vaccinium myrtillus L.
Copyright © 2015 foodofy | All rights reserved.